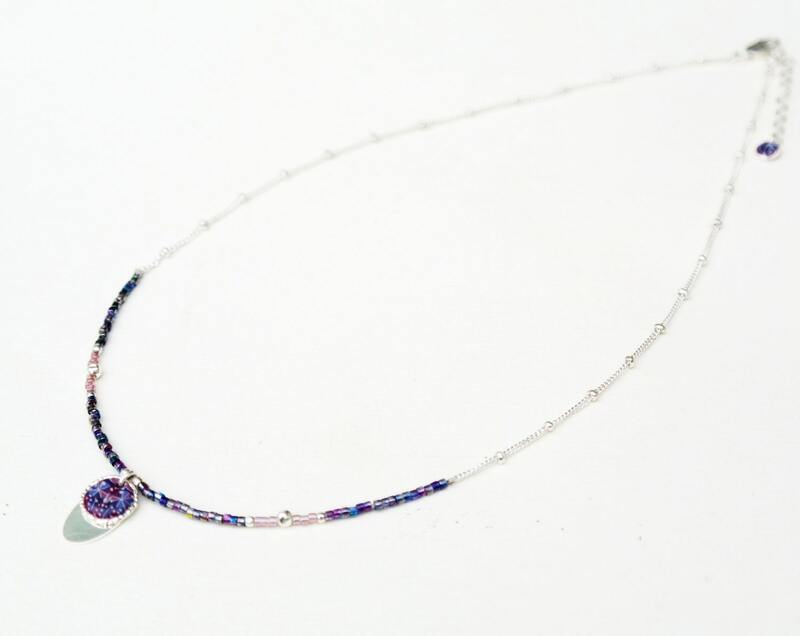 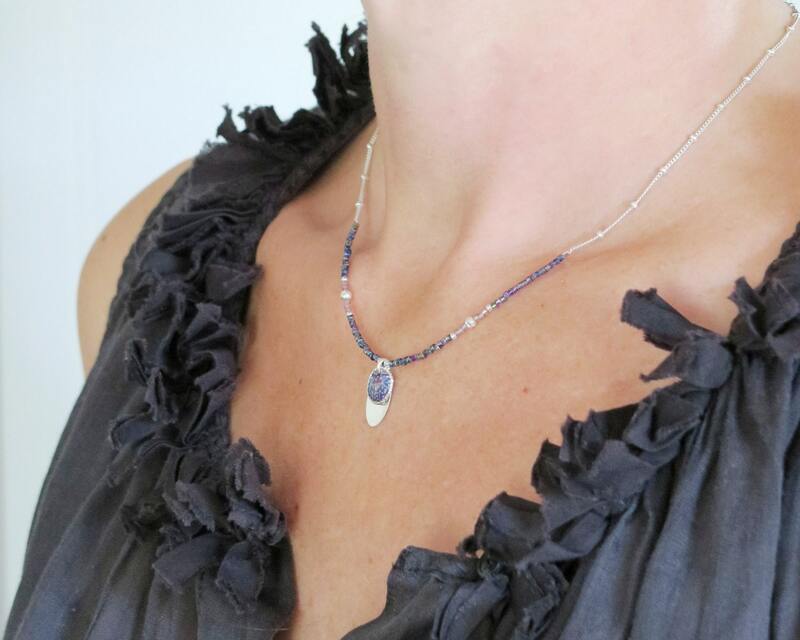 A light and minimalist sterling silver necklace with beautiful and subtle colors, from blue to purple, dark red and pink. 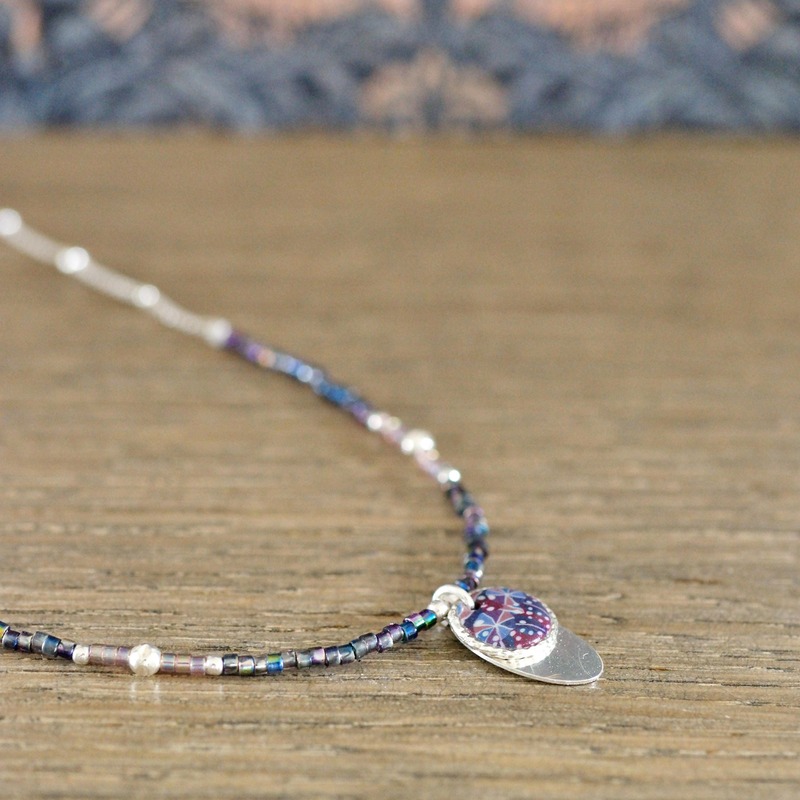 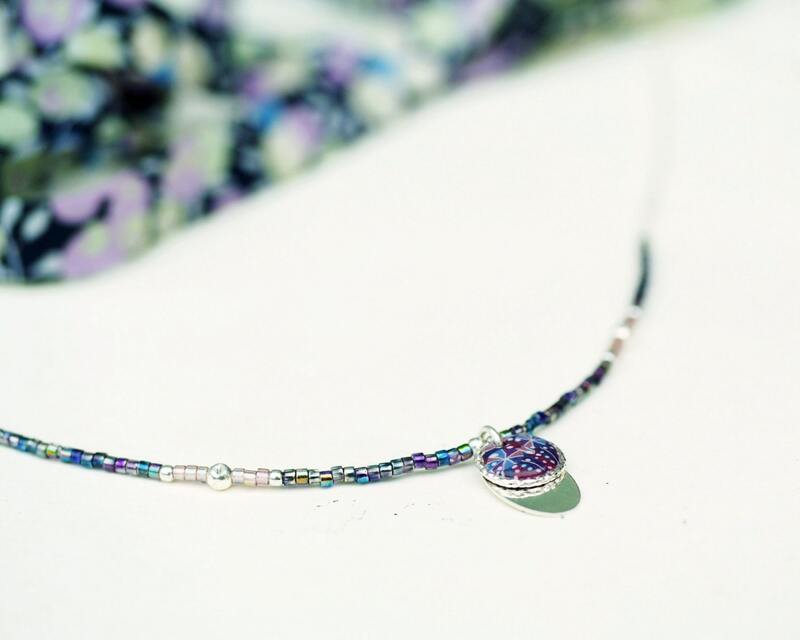 It is made of a flat polymer clay bead with handmade blue and purple patterns, sterling silver circled on an oval sterling silver medal, surrounded by Miyuki beads and a thin silver chain. 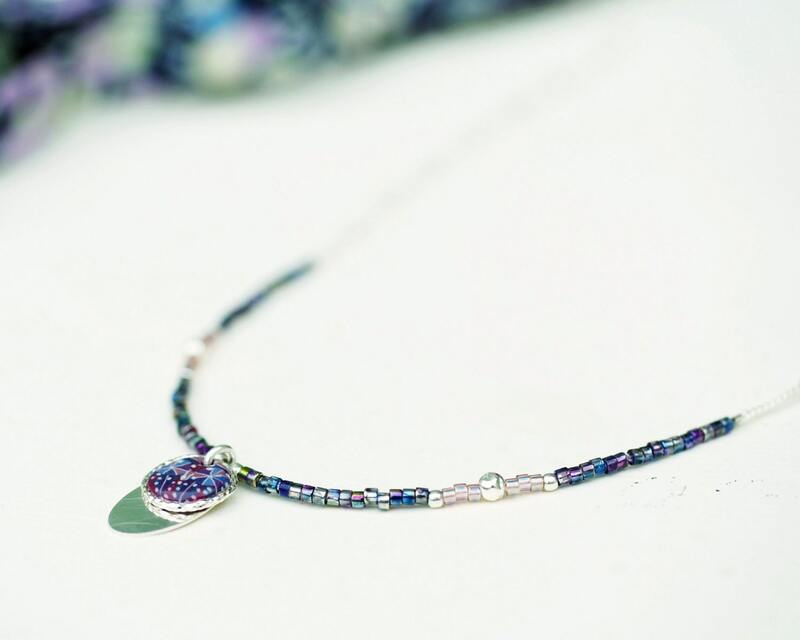 Necklace lentgh: 42.5 cm (can be adjusted to 46 cm).